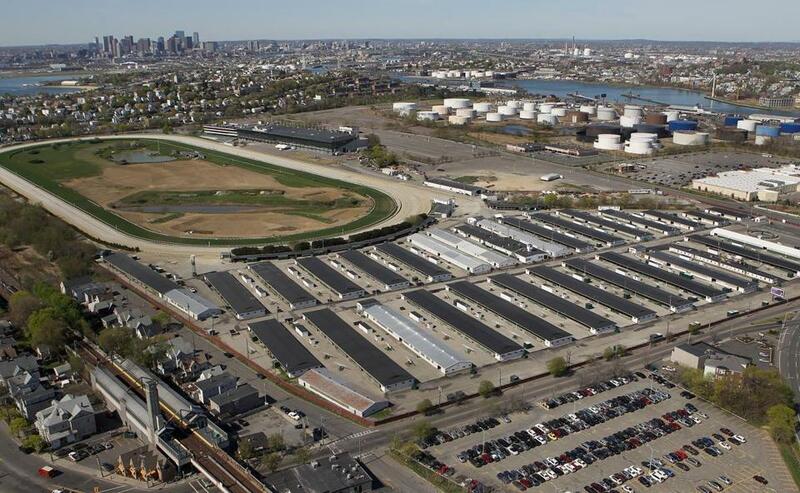 A statewide ballot question would aid developers hoping to build a slots parlor near Suffolk Downs (above). A Bangor city councilor Tuesday urged Massachusetts voters to keep an open mind about a proposed slots parlor in Revere, saying a similar facility contributed to a “downtown renaissance” in his city. But Celeste Ribeiro Myers, an East Boston resident who leads a group that opposes the Revere plan, cautioned against opening the door “even a crack” to more casinos in Massachusetts. The clashing views came during an hourlong debate on the slots parlor ballot question, which will be put before Massachusetts voters in the November election. The debate was sponsored by The Boston Globe, WBUR, and the University of Massachusetts Boston’s McCormack Graduate School of Policy and Global Studies, and aired live on WBUR’s “Radio Boston” show and streamed live on bostonglobe.com, wbur.org, and umb.edu. Myers urged voters to reject the ballot measure, known as Question 1, which would authorize a slots parlor on the site of a trailer park off Route 1A in Revere, near the Suffolk Downs racetrack. The state's 2011 casino law, she noted, calls for a single slots parlor, along with three licenses for resort casinos. “We want to nip it in the bud” she said. David Nealley, the Bangor councilor, said his city, Maine’s third largest, had enjoyed “tremendous success” with the casino during the past decade. “It has given the city a revenue stream to rehab our waterfront, and it has enhanced economic activity all over the city,” he said. It was noted that Hollywood Casino’s revenue had fallen since a competitor opened in Maine, but Nealley said slots parlors remain “very lucrative operations” even when business lags. “The casino continues to supply significant revenue,” he said. Myers said Plainridge Park Casino in Plainville, Massachusetts’ only slots parlor, did not live up to expectations in its first year, and questioned whether there is enough demand to support a Revere casino, especially once a $2.1 billion resort casino, now under construction, opens in nearby Everett. “The more gambling facilities you drop into the state, the more hands there will be outstretched to grab market share,” she said. The slots parlor plan is staunchly opposed by Revere Mayor Brian Arrigo, who says the city should wait for a better development. Residents will vote on the plan in a special election October 18. Even if the statewide ballot measure is approved, there is no guarantee that the state Gaming Commission would award a license to the McCain group. Stephen P. Crosby, chairman of the commission, has said awarding more casino licenses would be unfair to the developers who won licenses under the original rules.